Death-Notice* 6 Apr 1950 JACOBS.—On April 5, at his residence, 13 Grange rd., Mornington, Albert Victor Jacobs, beloved husband of Dora Isabel, and loved father of Estelle, in his 85th year. [S11] Newspaper - Argus 18 Mar 1890, p1. [S5] Registry of Births Deaths and Marriages Death Index Victoria 1921-1985 "#D19135 (Age 84) [par Nailor JACOBS & Eliza Ann ATTWOOD]." [S11] Newspaper - Argus 6 Apr 1950, p14. [S11] Newspaper - Argus 14 May 1915, p2. [S11] Newspaper - Argus 23 Sep 1916, p23. [S11] Newspaper - Argus 6 Dec 1916, p14. [S11] Newspaper - Argus 4 Mar 1950, p12. Marriage* 10 May 1907 Spouse: Gladys Constance Manton. VIC, Australia, #M4293. [S35] Probate Records, PROV (Public Records Office Victoria), VPRS 28/P5, unit 901; VPRS 7591/P4, unit 150. [S9] Free BMD. Index. Online @ https://www.freebmd.org.uk/ "Mar Q [Lambeth] 1d 601." [S80] Ancestry - Family Tree, Cronin/Moden Family Tree - Owner: pinehaven31. [S11] Newspaper - Argus 13 Jul 1907, p13. [S5] Registry of Births Deaths and Marriages Death Index Victoria 1921-1985 "#D14328 (Age 86)." Death-Notice* 17 Aug 1956 JACOBS. - On August 15, at Mornington Hospital, Dora Isobel, beloved wife of the late Albert Victor, loved mother of Estelle, Flat 3 Caversham Court, Esplanade, Mornington. [S185] Property Titles. ; PROV (Public Records Office Victoria), C/T 1889-604 + C/T 1864-664 - Dora Isabel Jacobs of Burke Road Camberwell Married Woman. There was a caveat lodged on 24 May 1913, which lapsed when the title was transferred into Mrs Jacob's name. part of the above mortgage taken over by Town and County Co-operative Permanent Building Society on 6 May 1920. [S185] Property Titles. ; PROV (Public Records Office Victoria), C/T 1889-604 + C/T 1864-664 - to Emma Wilson of Upper Beaconsfield Married Woman - see C/T 4416-087 + 086. [S11] Newspaper - Argus 17 Aug 1956, p12. 4 Aug 1938, Mr. Henri Deville, a Melbourne wool merchant, who lived In Wattletree road, East Malvern, died at a private hospital yesterday, after a short illness. He was aged 68 years. Mr. Devine, who was born at Pertignan, France, came to Victoria about 40 years ago. He had conducted his business here ever since. He leaves a son and daughter. [S5] Registry of Births Deaths and Marriages Death Index Victoria 1921-1985 "#D6895 (Age 68) [par Emile DEVILLE & Henriette RAFFIT]." [S5] Registry of Births Deaths and Marriages Death Index Victoria 1921-1985 "#D8539 (Age 81) [par David Shepherd LINDSAY]." [S33] Australian Government: http://www.naa.gov.au/collection/search/index.aspx, VIC/FRANCE/DEVILLE HENRI. [S185] Property Titles. ; PROV (Public Records Office Victoria), C/T 2323-590 - Henri Deville of 475 Collins Street Melbourne Wool and Skin Merchant. [S11] Newspaper - Argus 4 Aug 1938, p8. [S185] Property Titles. ; PROV (Public Records Office Victoria), C/T 2323-590 - Henri Deville died on 3rd August 1938. Probate of his will has been granted to Jeanne Shepherd Deville of "Braidwood" Wattle Tree Road Malvern Widow. [S11] Newspaper - Argus 4 Aug 1938, p9. [S33] Australian Government: http://www.naa.gov.au/collection/search/index.aspx, Alien registration. [S185] Property Titles. ; PROV (Public Records Office Victoria), C/T 2323-590 - Mary Ida Hill of Beaconsfield Married Woman - C/T 6483-576. [S11] Newspaper - Argus 3 Jul 1952, p11. 3 May 1919, DEATH OF MR. R. G. CASEY. Widespread regret will be expressed at the news received in Melbourne to-day of the death at Honolulu of Mr. Richard Gardiner Casey. Mr. Casey, who had been on a visit to England with his wife, was on his way back to Australia in the Makura, and on Thursday a cable message was received in Melbourne stating that be was so ill that he had been taken ashore at Honolulu in a serious condition. Early this morning the news was received that he had died. Mr. Casey, who was one of the best known men in Melbourne, was the son of the late Mr. C. G. Casey, who settled in Tasmania in 1836. Mr. Casey was born in Hobart on December 17, 1846, and as a young man he crossed over to the mainland, when bis father came to this State to practise his profession, settling at Bay-street, Brighton. Mr Casey was for many years closely identified with the late Mr. Donald Wallace in the ownership of pastoral properties in Queensland, and for a time represented the Warrego district in the Queensland Parliament. He had for many years been identified with Goldsbrough, Mort, and Co., as its chairman, and his work for that company was of tremendous value. He was also chairman of the Mt Morgan Gold Mining Co., and of the Electrolytic Refining and Smelting Co. of Australia, Port Kembla. Mr. Casey, was also chairman of the "Walter and Eliza Hall Trust," established in 1913 by Mrs. Eliza Hall, widow of the late Mr. Walter Russell Hall. All these positions Mr. Casey held at the time of his death. He took a keen interest in racing, and for many years was a member of the committee of the Victorian Racing Club until he retired in 1917 owing to his absence in England. He succeeded the late Mr. A. M'Cracken as chairman of the club in August, 1907, and held that office until August, 1916, when he relinquished it, and Mr. L. K, S. Mackinnon became chairman. Mr. Casey raced a number of horses. The best performer he owned was Sylvanite, with whom he won the Debutant Stakes (1903), A.J.C. Derby (1904), and Victoria Derby (1904). In partnership with Mr J. M. Niall he owned Maharajah, who won the Caulfield Futurity Stakes (1916). More recently Antenor had carried Mr Casey's colours successfully. Mr. Casey, leaves a widow and two sons. The sons, Captain R. G. Casey and Lieut Dermot Casey, have both served with marked distinction in the war, the former having been decorated with the D.S.O. and M.C., while the latter gained the Military Cross. CASEY, RICHARD GARDINER (1846-1919), pastoralist, company director and member of parliament, was born in Van Diemen's Land, son of Cornelius Gavin Casey and his wife Letitia, née Gardiner. He began his education at Hobart High School and at 14 went to Launceston Church of England Grammar School. He left in 1863 after his mother died and his father moved to Victoria. Casey worked as a jackeroo and later head overseer on Murray Downs, a sheep station near Swan Hill, for six years. In 1870 he became overseer of Willandra and Bellingerambil stations near Hillston. In 1875-83 he was manager of Kilfera, a station of 830,000 acres (335,893 ha) in the central west of New South Wales. When he took over, only a third of this 'open salt bush and cotton bush country' was used; the rest was thought to be useless, but Casey showed that with fencing and water it became good sheep country which greatly enlarged the station's carrying capacity. At Kilfera he once helped the police to capture a gang of bushrangers who had held up and robbed a store at the village of Hatfield; for this service he received a presentation and the thanks of the government. In 1883 he became a partner in a stock and station agency which brought him into contact with prominent men in the pastoral industry with the result that he entered into partnership with Donald Wallace, owner of several stations in central Queensland and many famous race-horses. Casey became the managing partner in the stations, the most important of which was Terrick Terrick, near Blackall. The total area under his management was about 1,387,000 acres (561,305 ha); it carried some 370,000 sheep and 5000 cattle. In ten years of arduous work he made no profit; because the price of wool was falling he resorted to over-stocking, but abnormal droughts and floods, losses by disease and increasing costs brought ultimate defeat, and in 1893 the partnership was dissolved. At Brisbane in 1888 Casey had married Evelyn Jane, daughter of George Harris, merchant, shipowner and politician. On his wedding day he was elected to the Queensland Legislative Assembly for Warrego, a large pastoral electorate. His speeches in parliament were confined to the problems of the pastoral industry such as scientific investigation of stock diseases, the land tenure system, the need for roads and artesian bores, the lack of personal contact between England and her Australian colonies, and the rabbit threat, the northward advance of which he claimed to be at the rate of 150 miles (241 km) a year. Casey went to Melbourne with his wife and two children to start a new life, with few assets except experience. He had wasted ten years in Queensland and if success were to be achieved he had to move quickly. The goldfields of Western Australia attracted him, and on behalf of a syndicate he went to Coolgardie, then a hive of activity with speculators from America, Britain and other Australian colonies. Casey became interested in the Londonderry mine from which two tons of quartz had just produced 8000 ounces (227 kg) of gold. His syndicate invested in this mine which was floated as a public company in London, but by 1896 it was obvious that the mine was not up to expectations, and in spite of occasional rich patches it gradually faded out. By then most of the Coolgardie field had become unprofitable. [S35] Probate Records, PROV (Public Records Office Victoria), VPRS 28/P3, unit 914; VPRS 7591/P2, unit 600; VPRS 28/P3, unit 1028. [S14] Newspaper - The Queenslander, 3 May 1919, p13. [S8] Queensland Government Birth, Death & Marriage Indexes. [S11] Newspaper - Argus 30 May 1888, p1. [S185] Property Titles. ; PROV (Public Records Office Victoria), C/T 1775-980 - Richard Gardiner Casey of Shipley House Caroline Street South Yarra Esquire - C/T 3643-430. [S11] Newspaper - Argus 30 Apr 1919, p1. [S185] Property Titles. ; PROV (Public Records Office Victoria), C/T 3643-430 - Richard Gardiner Casey died on the 25th day of April 1919. Probate of his will has been granted to James Mansfield Viall of Bourke Street Melbourne Gentleman and Kelso King of 118 Pitt Street Sydney in the State of New South Wales Esquire. [S185] Property Titles. ; PROV (Public Records Office Victoria), C/T 3643-430 - Henry Britain Denniston of 101 Flinders Lane Melbourne Warehouseman. [S14] Newspaper - Brisbane Courier, 24 May 1888, p5. [S14] Newspaper - Punch (Melbourne), 18 Sep 1913, p29. [S14] Newspaper - Table Talk, 3 Aug 1916, p30. Select Bibliography: Lord Casey, Australian Father and Son (Lond, 1966); Parliamentary Debates (Queensland), 1888-92. Print Publication Details: F. C. Green, 'Casey, Richard Gardiner (1846 - 1919)', Australian Dictionary of Biography, Volume 3, Melbourne University Press, 1969, pp 366-367. [S22] Victorian Government. BDM Index Victoria (online) "Place of birth BRISBANE QUEENSLAND." [S11] Newspaper - Argus 12 May 1943, p2. [S14] Newspaper - Table Talk, 11 Jan 1917, p30. Richard Gavin Gardiner Casey was born in Brisbane in 1890. As a child his family moved to Melbourne, where his father, a wealthy company director, sent him to Melbourne Grammar School. He later was a student at Melbourne University before completing a mechanical engineering degree at the University of Cambridge, England. Casey worked as a geologist and mining consultant in Queensland, New Guinea and the United States before joining up with the AIF at the outbreak of World War 1. He served at Gallipoli as orderly officer to Major General Sir William Bridges, and then in France. Promoted to the rank of major by the war's end, he won the Military Cross and Distinguished Service Order. With the war's end and his father's death in 1919, Casey replaced his father on many company boards. He was a personal friend of the then Prime Minister, Stanley Bruce, who in 1924 enticed him to leave the mining industry and join the public service as a liaison officer between Australia and Britain. Casey was married to Ethel Marian Sumner (Maie) Ryan in London in 1926, the daughter of a Melbourne family friend. He returned briefly to Australia after his marriage, where Bruce tried unsuccessfully to convince him to enter politics. He was fortunate to miss the debacle of the 1929 election, when Bruce and most of his National Party colleagues lost their seats. But Casey's appetite for politics had been whetted. Following his return to Melbourne he stood as a candidate for the newly-formed United Australia Party in the 1931 federal elections, becoming the member for the Geelong-based seat of Corio. In 1935, Prime Minister Joseph Lyons appointed him Treasurer. In 1937, Casey had his first experience of Antarctic affairs as chairman of the polar committee of the Imperial Conference in London. He was a strong advocate for establishing permanent meteorological stations in the Antarctic to improve the accuracy of climatic data. Robert Gordon Menzies, who became Prime Minister in 1939, appointed Casey Minister for Supply and Development, and in 1940 he was made the first Australian minister to the USA, based in Washington. Casey handled his portfolio admirably but after John Curtin's Labor Party came to power he moved to Cairo, taking a position on the British War Cabinet as Minister of State. From his base in Cairo, he made visits to the United Kingdom and the USA. In 1943 Churchill appointed Casey Governor of Bengal in eastern India, where he was instrumental in major social and infrastructure improvements during and immediately after the war. Returning to Melbourne in 1946, Richard Casey worked to win the seat of Latrobe for the Liberal Party under Menzies, a goal he achieved in 1949 when Menzies won government from Labor's Ben Chifley. He was briefly Minister for Works and Housing and Minister for National Development before becoming Minister for External Affairs as well as Minister in charge of the Commonwealth Scientific and Industrial Research Organisation (CSIRO). He continued to hold these portfolios until his retirement from parliament in 1960. In his new role, Casey quickly took up the cause of Australian National Antarctic Research Expeditions. Established by his Labor predecessor Herbert Vere Evatt in 1947, ANARE had already established bases on Heard and Macquarie Islands, but not yet on Antarctica itself. Casey made himself chairman of the ANARE Executive Planning Committee, working closely with the head of the Antarctic Division of his department, Phillip Law. In 1953 Casey announced that Australia would send an expedition to mainland Antarctica in 1954, a goal it achieved with the establishment of Mawson station, using the Danish ship Kista Dan, in December 1954. Within three years, by the start of the International Geophysical Year, a second station, Davis, was established in the Vestfold Hills. Casey's support of Antarctic exploration and research over three decades was honoured with the naming of Australia's third Antarctic station, Casey, in 1969. On Casey's retirement in 1960 he accepted a life peerage. He was now Baron Casey of Berwick, Victoria, and took his seat in the House of Lords. In 1965 at the age of 74 he was made Governor-General. At the end of his five-year term he and his wife retired to their farm in Victoria. In the same year he was named Australian of the Year. Lord Casey never fully recovered from a car accident in 1974, and died on 17 June 1976. 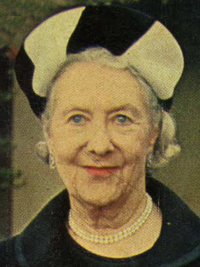 Lady Casey died in 1983. In their retirement, Lord and Lady Casey lived at Edrington and took an interest in the establishment of the new City of Berwick, attending the Proclamation Ceremony on October 1973. In 1980, Lady Casey contributed towards the reconstruction of the Berwick Mechanics’ Institute in High Street, and this library now holds a large collection of the Casey’s books as well as a watercolour portrait of Lady Casey by Cecil Beaton. 1. Born 26 Aug 1890, Brisbane Qld. 3. Serves one year King Edwards Horse (corporal). 4. Applied for commission in AIF. Appointed to Divisional (1st) Staff in Australian Volunteer Automobile Corps on 14th September 1914. (His father agreed to provide a motor car of 20HP, "Metallurgique" as part of his obligation on joining AVAC. Home address at this time was 125 William St. Melbourne). 5. Embarked on "ORVIETO" 21st October 1914. 6. Appointed ADC to GOC 1 Austr Div 27th February 1915. 7. Served on Gallipoli 25th April 1915 to 7th October 1915 (evacuated sick, dysentry). 8. Transferred to HQ 1 Inf Bde 4th July 1915. 9. Transferred to HQ 1 Aust Div as Orderly Officer 26th July 1915. 10. Transferred to HQ 3 Inf Bde 18th August 1915. 11. Appointed Staff Captain 20th August 1915. 12. Appointed GSO3 and transferred to HQ 1 Aust Div 5th March 1916. 13. Proceeded from Alexandria to join BEF 22nd March 1916. 14. Disembarked Marseilles 28th March 1916. 15. (Official War History, Vol III, page 784). Acted as observer in an unidentified aircraft which looked for, and located, a lost company of 7 Aust Inf Bn; MOUQUET Farm, Pozieres, 19th August 1916. As a result of this exploit, and other covering a period, he was awarded the Military Cross, see Annex A. The Official History of the Royal Air Force in World War 1, Vol II, states that, on the 19th August 1916, "an aeroplane of No. 7 Sqn, sent up on early trench reconnaisance, had cleared up the uncertainties before the attack began". 16. Transferred to HQ 8 Inf Bde as Brigade Major 5th January 1917. 17. Promoted Major 21st March 1917. 18. Awarded DSO, see Annex C.
20. Seconded to HQ 1 Aust Corps as GSO2, 6th February 1918. Marriage* 24 Jun 1926 Spouse: Baroness Ethel Marian Sumner 'Maie' Ryan. St James' Parish Church, Westminster, London, England. The son of a wealthy pastoralist and company director, Richard Casey was born in Brisbane in 1890. During World War One he served at Gallipoli and in France and was awarded the Military Cross. In 1931 he was elected to the Federal Parliament and served as Treasurer under Joseph Lyons. In 1940 Robert Menzies appointed him Australia’s first Ambassador to the United States; he subsequently served as UK Minister of State in the Middle East and Governor of Bengal. In 1949 Casey returned to Australian politics with the Liberal Party and served as Minister for External Affairs throughout the 1950s. He retired in 1960 upon becoming a life peer in the British House of Lords. Baron Casey served as Governor-General of Australia from 1965 to 1969 and was the first Australian to become a Knight of the Garter. CASEY, RICHARD GAVIN GARDINER, Baron Casey of Berwick, Victoria, and the City of Westminister (1890-1976), engineer, diplomat, politician, governor and governor-general, was born on 29 August 1890 in Brisbane, eldest child of Richard Gardiner Casey, pastoralist and politician, and his Queensland-born wife Jane Eveline (Evelyn Jane), née Harris. Richard senior, the son of Cornelius Casey, worked as a jackeroo, did well as a manager of properties in New South Wales and then became a minor partner in three Queensland holdings. Partly of convict stock, and twenty years younger than her husband, Evelyn came from a notable family: her father George Harris and her maternal grandfather George Thorn had been Queensland parliamentarians, and an uncle George Henry Thorn had been premier in 1876-77. Poor seasons and low prices impoverished Richard senior and in 1893 he moved his family to Melbourne where he prospered as a company director, partly by drawing on connexions made in Queensland with Thomas and Walter Hall, major partners in the fabulous Mount Morgan Gold Mining Co. Ltd. Affluence was to free young Richard from material worries for the rest of his life, but his father was stern, dominating and misanthropic, and Richard was less privileged in emotional terms. Living in the family mansion, Shipley House, at South Yarra, he was educated as a day-boy at Cumloden School, St Kilda, and then for three years at the nearby Melbourne Church of England Grammar School. With a bent towards science rather than classics, he spent one year (1909) as an engineering student at the University of Melbourne before sailing to England and entering Trinity College, Cambridge (B.A., 1913; M.A., 1918); he graduated with second-class honours in the mechanical sciences tripos. As a student he had been a keen debater and oarsman, rowing for Trinity at Henley, and he saw something of France and Germany. He returned to Australia and, on his father's instruction, worked at Mount Morgan (his father was now chairman of the company) until war broke out in August 1914. Appointed lieutenant in the Australian Imperial Force on 14 September 1914, Richard junior embarked for Egypt next month. He was to serve throughout the war and rise to major, but in all those years he never commanded men. He began as an orderly officer and then aide-de-camp to Major General (Sir) William Bridges, commander of the A.I.F. 's 1st Division, and in August 1915 he became a staff captain with the 3rd Brigade at Gallipoli. Casey was evacuated with fever in October, but recovered in time to be appointed general staff officer, 3rd grade (intelligence), with the 1st Division, just before its move to the Western Front and the nightmare of the Somme in 1916. He observed operations, and collected and sifted information; in January 1917 he was awarded the Military Cross and was made brigade major of the 8th Brigade. This demanding position entailed regular visits to the front under trying and hazardous conditions; for his work he was awarded the Distinguished Service Order in 1918. From February that year he was G.S.O.2 (training), on the staff of the Australian Corps. Like so many others, Casey in later life rarely referred to his war service, though letters and diary fragments make it clear that both at Gallipoli and on the Western Front he went through three distinct phases: almost boyish exuberance, followed by depression, then retreat into a detached military professionalism. Like so many, he was angered by the appalling carnage about him, and saw himself as part of a younger generation which would do better. It was perhaps unfortunate that these harrowing years of the most intense experience were, as with the previous apprenticeship to his father, spent in the service of much older and more senior men and tended to confirm his assumption that advancement came best, not from competition with equals or marshalling the support of juniors, but from nomination by seniors who rewarded courtesy, deference and industry. Twice mentioned in dispatches, he resigned his A.I.F. commission and was demobilized in London on 10 June 1919. He transferred to the Reserve of Officers and in the early 1920s served as a part-time intelligence officer at Army Headquarters, Melbourne. Casey's brother Dermot Armstrong (1897-1977) had also served in World War I. He was born on 27 August 1897 at South Yarra, Melbourne, and educated in England at Eton and the Royal Military Academy, Woolwich. Commissioned in the Royal Horse Artillery on 23 November 1916, he was sent to the Western Front; he was awarded the M.C. (1918) for directing the fire of his battery in the face of an enemy advance. After the Armistice he worked on a number of archeological 'digs' in England. At St John's Anglican Church, Toorak, Melbourne, on 27 August 1924 he married Gwynnedd Mary Browne, a grand-daughter of A. S. Chirnside. From 1929 he assisted the British archeologist (Sir) Mortimer Wheeler on sites in England. Back in Australia, Dermot was a founder of the Anthropological Society of Victoria, president (1947) of the Royal Society of Victoria and honorary ethnologist to the National Museum of Victoria for forty years. He joined Wheeler at Taxila, India (Pakistan) in 1944. Resuming fieldwork in Australia in the 1950s, he became a foundation member of the Australian Institute of Aboriginal Studies. Colleagues acknowledged his skill as an excavator and his mastery of exposition, and appreciated his modesty, good humour and generosity. Dermot died on 13 September 1977 at Mount Macedon, Victoria, and was cremated; his wife, daughter and son survived him. With the death of his father in 1919, Richard had returned immediately to Melbourne. Although young for such positions, he virtually succeeded to his father's seats on company boards, including that of Mount Morgan. Involvement in mining employers' organizations and with groups behind the National Party followed. These affiliations, in turn, led to friendship with S. M. (Viscount) Bruce who became prime minister in 1923. At this point Casey was not much interested in politics, seeing himself rather fancifully as an antipodean Henry Ford. Casey bought a small steel-manufacturing firm in Melbourne, but found that industrial greatness would not come from making cutlery. He also joined a syndicate to back the brilliant Melbourne engineer A. G. M. Michell who had designed a new kind of automobile engine. Casey took the engine to America, but could not persuade the Ford Motor Co. or General Motors Corporation to accept it. He then found himself leading an incredibly busy work and social life, but it was a self-set busy-ness leading nowhere very obvious, and he scarcely hesitated when, in 1924, Bruce urged him to join the Commonwealth Public Service and go to London as Australia's liaison officer (in effect, as Bruce's political agent). Casey was a great success in London. With the credentials valued by their caste, he was liked by the senior men in Westminster and Whitehall, and he was able to report to Bruce on everything from British defence policy to club gossip. He was Bruce's eyes and ears at the Imperial centre, but he also acted for him in some political matters and for the Australian government in some League of Nations forums in 1925-30 at Geneva, Switzerland. While in London, and by now 35, he married 34-year-old Ethel Marian Sumner (Maie) Ryan on 24 June 1926 at St James's parish church, Westminster. His bride was the only daughter of Sir Charles Ryan, a Melbourne surgeon, and Lady Ryan (Alice, née Sumner). Maie was related by blood or marriage to leading Victorian families, among them the Clarkes, Chirnsides and Grices; a Ryan aunt had married a brother of the 6th Duke of Buccleuch and (9th Duke of) Queensberry; Maie's only brother Rupert had married Lady Rosemary Hay, daughter of the 21st Earl of Erroll. 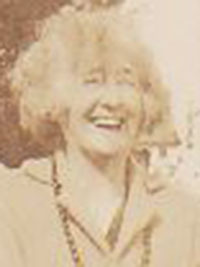 A lively and gregarious woman with an interest in the arts, Maie was to provide for Casey a marriage of unusually close and constant companionship. Supportive but also stimulating, she would give him strength and direction. Because Bruce was not very interested in developing an independent Australian diplomatic service, Casey became restless in London and concerned about his future. Yet, it was only with Bruce's electoral defeat in 1929 and his replacement as prime minister by Labor's James Scullin—with whom Casey could not hope to enjoy the intimate, almost filial, relationship possible with Bruce—that Casey decided to return to Australia and enter Federal politics. He left England in February 1931. 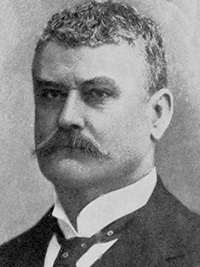 At the elections later that year, and endorsed by the new United Australia Party led by Joseph Lyons, Casey was returned to the House of Representatives for the Victorian seat of Corio. An indifferent orator, shy, stiff, unmoved by parliamentary ritual and irritated by what seemed to him the inexpert amateurishness of government in a democracy, Casey was poorly equipped for politics, but he worked very hard to educate himself in public finance, was prepared to live in Canberra (which he loathed), was modestly adventurous in his views (questioning protection if it did not benefit consumers), and in career terms he was successful. He became an assistant-minister at the Treasury in 1933, treasurer in 1935, and minister for supply and development in 1939. As treasurer, he had to cope with Australia's slow emergence from the Depression and, while he invested immense effort in preparing legislation and a bureaucratic structure for a national insurance scheme, the scheme was shelved because of approaching war, and he left no monuments. Encouraged initially by Bruce to see himself as a certain prime minister, Casey was never in the race, and certainly not after the move of (Sir) Robert Menzies from Victorian to Federal politics in 1934. When Lyons died in 1939, Casey stood for the U.A.P. leadership, and thereby the prime ministership, but he came in behind Menzies and even old W. M. Hughes. Casey did not help his cause by joining the Country Party leader Sir Earle Page in appeals to Bruce to return, and, in any case, he was far too modest and too inept in organizing support for himself. In 1939 the Menzies government decided to establish Australia's first diplomatic posts, in Tokyo and Washington. Casey was asked to head the legation in Washington. Appointed Australian minister to the United States of America, he resigned from parliament on 30 January 1940. As in London, he proved to have an extraordinary flair for diplomacy, and, despite representing a country of which Americans knew little, soon enjoyed access to President Franklin D. Roosevelt and the friendship of leading politicians, officials and servicemen. Although he was now 50, boyish charm and courteous deference opened doors to him, and he was a keen convert to the American craft of public relations. Unable to cope with H. V. Evatt, minister for external affairs in the Labor government which assumed power under John Curtin in October 1941, Casey was keen to move on, and was happily surprised when, in March 1942, (Sir) Winston Churchill offered him the position of United Kingdom minister of state in the Middle East, based in Cairo. Australia still saw itself as a British country, but this move to United Kingdom political service during war raised some Australian hackles, not least those of Curtin. It also raised hackles in Whitehall, especially in the Foreign Office. Casey's principal duties in Cairo were to contain an almost impossible range of civil problems in the region—some of it colonial and some independent, some of it occupied and some not, most of it under some form of British control but some of it ruled by the French—and to assist the theatre's military commanders at a political level. Long hours, a difficult climate, and the problems of a large and varied jurisdiction took their toll on his health, but he did the job probably as well as it could be done, and certainly well enough to satisfy Churchill who, in November 1943, offered him the governorship of Bengal, India. On 22 January 1944 Casey took over a Bengal devastated by famine and politically sundered by nationalist agitation and communal conflict. He could (and for a time did) impose governor's rule, but ordinarily had to work with a ministry, and yet he, rather than his chief minister, would be held responsible by New Delhi and London for the good government of Bengal. He improved the civil service, fought with a measure of success for funds from New Delhi, encouraged development projects, and kept his ministries in a condition of reasonable harmony and efficiency. As in Cairo, he was shocked by British racial snobbery, and he tried to break down walls between Government House in Calcutta and the local community. Casey had his share of prejudices and assumed that everyone else had them, though he thought it ungentlemanly and politically unwise ever to show them. Again, the climate, the long hours and the frustrations of the job affected his health, but he was counted a success, and for many years to come would enjoy the affection of the politicians and officials he had known in Calcutta—more especially those who were Moslems and became Pakistanis. Casey himself was to regard his Bengal years as perhaps the most fruitful of his life. Encouraged by some people when he was away to see himself as a successful challenger to Menzies—who now led the new Liberal Party but whose ability to woo the electorate was under question—Casey arrived home in April 1946 determined to re-enter Federal politics (with this in mind, he had refused a peerage while in Bengal). He failed to organize pre-selection in time for the elections in September that year, and was at something of a loose end until he was persuaded to become federal president of the Liberal Party in September 1947. In this position he achieved much. 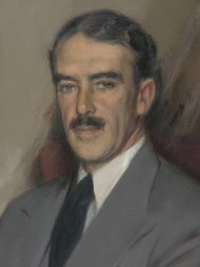 Although somewhat out of touch with a new generation of politicians, he had retained his old social, army and business connexions, and it was estimated that his public appeals and remorseless private solicitations raised the then extraordinary amount of £250,000 for the party in 1947-49. He also proved adept at using public relations and advertising in the Liberal interest—and in the Casey interest. Never very happy with democratic pluralism and group strife, during World War II Casey had been both impressed by the unity of purpose achieved by a national government in Britain and appalled by the social and political conflict he had seen in the Middle East and India: he returned to Australia preaching consensus in politics and industry as vital to the country's well-being. He did what little he could to break down the barriers that faced Catholics in the Liberal Party, raged against reactionary employers and bloody-minded employees, took a close interest in the new field of industrial psychology, held a kind view of trade unionism and even urged reform of the White Australia policy. At the elections in December 1949 Casey was returned for the outer-Melbourne seat of La Trobe and, with J. B. Chifley's Labor government defeated, entered the Menzies ministry as minister for supply and development (national development from March 1950) and for works and housing. He professed to enjoy these portfolios, even though the new government was more interested in containing inflation than spending on grand public works. Casey seemed, however, to suffer a severe bout of clinical depression and it was only when he succeeded (Sir) Percy Spender in 1951 as minister for external affairs that he began to recover. His problems were many, but high among them were lack of rapport with Menzies, and impatience with party and Federal politicking. The external affairs portfolio and especially the travel that went with it allowed some removal from Menzies and domestic politics. Casey remained an indifferent performer in parliament and in cabinet, and, unlike his predecessors Evatt and Spender, was not a policy innovator. He excelled rather as a minister-diplomat, courting his overseas counterparts to the point of achieving friendship with many of them. He also took a close interest in the administration of his department and in the welfare of its officers. In public, Casey seemed to be a devoted Cold-War warrior, fervently supportive of Britain and the U.S.A., and deeply hostile towards the Soviet Union and China; he was the minister responsible for the Australian Secret Intelligence Service. In private, his views and at times his behaviour were very different. He came out against Britain's militant reaction to the nationalization of the Suez Canal in 1956, but he could not move Menzies and said nothing against Britain in public. Again, while at ease with Americans, excessive dependence on the U.S.A. distressed him. Year after year he campaigned in cabinet for greater Australian self-sufficiency in defence, but was confronted by colleagues who preferred the financially cheaper alternative of alliance diplomacy. Totalitarianism also distressed him, but he argued in private that—whatever one thought of it—a communist China must be accommodated and urged his fellow ministers to allow diplomatic recognition; again, they turned him down. If Casey was an innovator at all, it was in constantly preaching the importance of Asia to an Australia which had taken little interest in it. He frequently visited Asia (and thereby forced the Australian press to take an interest), kept a close eye on aid to Asian countries and urged his young diplomats to concentrate on Asia rather than Europe. Casey had also given close attention to the Antarctic since the 1920s and played a leading part in the negotiation in 1959 of a treaty covering co-operation in exploration and scientific research there. A research station and several geographical features in Antarctica were named after him. Throughout the 1950s Casey was, as well, the minister responsible for the Commonwealth Scientific and Industrial Research Organization. Although tending to be impatient with theoretical work, he was personally committed to furthering the role of the C.S.I.R.O., and few other areas of government so absorbed him or allowed him to operate with such conviction. In January 1960 Casey was made a life peer; next month he resigned from the ministry and parliament. It was by then something of an anomaly that an Australian should be appointed to the Upper House of another country's parliament, yet, for most Australians, Britain was still the mother country and few were inclined to quibble. Lord Casey ordered his time around annual trips to London and appearances in the House of Lords, but he had no obvious constituency, he was distressed to find that British interest in the old dominions was waning fast, and he warmed to the forms of Westminster no more than he had to those of Canberra. At home, he enjoyed having a seat (1960-65) on the C.S.I.R.O. executive; he involved himself in the Australian-American Association, the Australian-Asian Association of Victoria, the Freedom from Hunger Campaign, and International House at the University of Melbourne. Then, in mid-1965, he accepted appointment, and on 22 September was sworn in, as governor-general—nominated to his grateful surprise by Menzies. Casey was the first Australian citizen to be recommended for the governor-generalship by a non-Labor government; provided that he performed well, it was unlikely that there would be a reversion to appointees from Britain. He did perform well, mainly because he took the office seriously and because he enjoyed it. More interventionist than convention encouraged, he interposed in disputes between 'his' ministers in the interests of harmony in 'his' governments, raised policy matters with ministers and senior public servants, and questioned submissions. He was fortunate in that he had the kind of presence which, while not very impressive in cabinet rooms or parliamentary chambers, was well suited to vice-regal office. And in Maie he had an ideal wife, sharply conscious of her dignity but down-to-earth. Casey also literally civilized the office. Averse to uniforms and plumes, he chose civilian forms which made it easier for men like (Sir) Paul Hasluck to succeed him. While not as competent and stylish a writer as Maie, and inclined at times to look to others for drafts, Casey published a good deal: Australia's Place in the World (Melbourne, 1931), An Australian in India (London, 1947), Double or Quit (Melbourne, 1949), Friends and Neighbours (Melbourne, 1954), Personal Experience 1939-1946 (London, 1962), The Future of the Commonwealth (London, 1963), Australian Father and Son (London, 1966), and Australian Foreign Minister (edited by T. B. Millar, London, 1972). Retiring in April 1969, Casey lived out his days with Maie at Edrington—a substantial house (inherited by Maie and Rupert in the 1930s) on 1000 acres (405 ha) at Berwick, outside Melbourne—and at Little Parndon, a renovated townhouse in East Melbourne. Although now moving into his eighties, Casey did not enjoy the enforced quiet of retirement. Survived by his wife, daughter and son, he died on 17 June 1976 at St Vincent's Hospital, Fitzroy, and was buried in Mount Macedon cemetery. His estate was sworn for probate at $621,560 in Victoria and £64,899 in England. The following biography is from the Australian Antartic Division website:. [S8] Queensland Government Birth, Death & Marriage Indexes "#B B46745." [S14] Newspaper - The Queenslander (Brisbane), 6 Sep 1890, p441. [S65] Ancestry - various indices, Ancestry.com. UK, Outward Passenger Lists, 1890-1960 [database on-line]. Provo, UT, USA: Ancestry.com. [S5] Registry of Births Deaths and Marriages Death Index Victoria 1921-1985 "#D15720 (Age 85)." Print Publication Details: W. J. Hudson, 'Casey, Richard Gavin Gardiner [Baron Casey] (1890 - 1976)', Australian Dictionary of Biography, Volume 13, Melbourne University Press, 1993, pp 381-385. Dermot Armstrong (1897-1977) had also served in World War I. He was born on 27 August 1897 at South Yarra, Melbourne, and educated in England at Eton and the Royal Military Academy, Woolwich. Commissioned in the Royal Horse Artillery on 23 November 1916, he was sent to the Western Front; he was awarded the M.C. (1918) for directing the fire of his battery in the face of an enemy advance. After the Armistice he worked on a number of archeological 'digs' in England. At St John's Anglican Church, Toorak, Melbourne, on 27 August 1924 he married Gwynnedd Mary Browne, a grand-daughter of A. S. Chirnside. [S5] Registry of Births Deaths and Marriages Death Index Victoria 1921-1985 "#D21342 (Age 80)." [S14] Newspaper - Australasian, 11 Sep 1897, p55. [S14] Newspaper - The Queenslander (Brisbane), 26 Aug 1893, p393. [S14] Newspaper - Australasian, 22 Dec 1894, p45. Marriage* 1839 Spouse: Letitia Gardiner. Hobart, TAS, Australia. Marriage* 1839 Spouse: Cornelius Gavin Casey. Hobart, TAS, Australia. Marriage* 24 Jun 1926 Spouse: Baron Richard Gardiner Gavin Casey. St James' Parish Church, Westminster, London, England. Mrs. Casey returned with her husband. Mr. R. G. Casey, last night. She said that she was extremely tired because the ship in which they returned to Sydney from America, the Wangaratta, had been caught in the tall of a hurricane. She was looking forward now to settling down at her home at Berwick. Mrs. Casey was almost bowled over by her daughter, Joan, and her son, Don, as they greeted her when she stepped from the plane. She said she felt embarrassed that Don, a pupil at Geelong Grammar, appeared to have grown a foot since she had last seen him, 18 months ago, and he was as tall as she was. She also commented on the fact that Joan was several inches taller. Mrs. Casey said that the rush in the past 24 hours had left her somewhat bewildered, but she was very pleased indeed to be home again. Ever since she and her husband had left Australia they had looked forward to the day when they would come back for good. Apr 1983, The Lady Casey F.R.S.A. The Lady Casey became a Patron of the Friends of the La Trobe Library in early 1970, retaining this honour until her death on 20 January 1983. She was a person of remarkable achievement in many fields, including literature, the arts and aviation. The tribute to her which follows is written by the poet Rosemary Dobson. “Few people in the world have the opportunity to see a city grow under their eyes … Some of us in Australia have seen this happen almost without realising it.” So Maie Casey wrote in her Introduction to Early Melbourne Architecture. which recorded in annotated photographs some of the early buildings of Melbourne. Maie Casey was a committed Melburnian. In her own book, An Australian Story, she describes the city as she had known it, and the houses she had lived in in childhood. Certainly her view was a privileged one. Later she and Lord Casey owned the exquisite house built by Eugene von Guerard in East Melbourne, and her last years were spent in the house she loved in Berwick. But, if privileged, her knowledge of Melbourne was nevertheless intelligent and aware. She looked at it, as she looked at everything, with a discerning and isolating eye, and with an immediate recognition of quality. An Australian Story is an enduring work, and part of its charm is in Maie Casey's own decorative chapter-headings. She had studied in the studio of George Bell, and the friendships once made with other artists continued throughout her life. For example, she early recognised the talents of Peter Purves-Smith, and has given paintings by him to the National Collection. Her mind seemed always receptive to new ideas in the arts. It was fascinating to visit an exhibition with her and to see how, and discover why, she appraised and selected. One watched the exercise of a keenly intelligent mind. She built up a splendid collection of paintings, both Australian and international, and helped many artists by this practical expression of her enthusiasm. Latterly she saw her role as a custodian. Maie Casey would like to have been an artist, I think, although other elements in her nature were fulfulled in writing and flying. She spoke of her pleasure in being made a Fellow of the Royal Society of Arts a few years ago. She was a member of the International Committee appointed to judge a work of scupture to honour the Unknown Political Prisoner, and she was happy in her association with the Museum of Modern Art in New York. I have emphasised Maie Casey's involvement with the arts because in this she expressed her own inclinations. For the rest, she was disciplined or lively, according to her quick sense of what each situation required. In person she was both modest and elegant. CASEY, ETHEL MARIAN SUMNER (MAIE) (1891-1983), writer, artist and flyer, was born on 13 March 1891 at Brunswick, Melbourne, younger child of Victorian-born parents (Sir) Charles Snodgrass Ryan, surgeon, and his wife Alice Elfrida, née Sumner. Rupert Ryan was her brother. Raised in Collins Street, Melbourne, where her father practised, she was educated privately by a Swiss governess and then with the four talented daughters of Sir Edward Mitchell. One of them, Nancy, admired her chestnut ringlets, her large blue eyes and her delicate skin, invariably protected by a hat and veil. Maie’s childhood was peopled by gifted artistic and professional relatives including her aunt, Ellis Rowan, her father’s cousin Janet, Lady Clarke, and the Le Soeuf brothers, scientists and zoo-directors, as well as the Chirnside and Grice families. In 1907 Maie was sent to England to board at St George’s School, Ascot. Her formal education was completed at a finishing school in Paris and she returned to Melbourne in 1910. To her disappointment, her father’s colleague (Sir) Richard Stawell advised against a university education, as his brilliant sister Melian had suffered a breakdown at Cambridge. In England at the outbreak of World War I, Maie volunteered for work at (Sir) Douglas Shields’s Hospital for Wounded Officers and then with Vera Deakin’s Australian Wounded and Missing Inquiry Bureau. After the war she acted as hostess for Rupert in Germany, where he was working for the Interallied Rhineland High Commission. Living in London from 1924, Maie Ryan renewed acquaintance with Richard Gavin Gardiner (Baron) Casey, whose family had been part of the same small Melbourne élite as her own, and who was working as Australia’s liaison officer to the British government. They were married on 24 June 1926 at St James’s parish church, Westminster. David Marr, the biographer of her friend Patrick White, described her wedding photograph as revealing `a saucer jaw and the eager carriage of a pony about to bolt’. 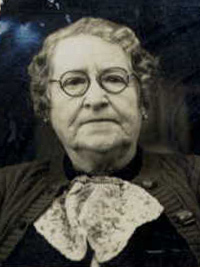 The Caseys’ daughter was born in 1928 and their son shortly after their return to Melbourne in 1931. On 21 December that year Richard was elected member for Corio in the House of Representatives. More attuned to British than Australian politics, they opted to live in the capital rather than the electorate. In Canberra, Mrs Casey, who had studied at the Westminster School of Art, London, found time to paint. Occasionally she attended classes at the art school run by Arnold Shore and George Bell in Melbourne. While in England in 1937 for the coronation of King George VI, both Caseys had their first experience of flying and, on their return, with characteristic whole-heartedness, took lessons, gained their licences, bought a primrose yellow Percival Vega Gull, and laid out an airstrip at Edrington, the property at Berwick, outside Melbourne, that Maie and Rupert had inherited from Chirnside relatives. With their new-found mobility they divided their time between Berwick, Canberra, where—following Casey’s appointment as treasurer in 1935— they supervised the building of a ministerial residence, and East Melbourne, where they had bought a small town-house, once the home of Eugen von Guerard. (Sir) Robert Menzies’ decision to send Casey in 1940 to the United States of America as Australia’s first diplomatic representative was almost certainly the result of the intervention of Maie Casey, whom Menzies dubbed `Lady Macbeth’. Ambitious for her husband, she had been disappointed when he failed to succeed Joe Lyons as prime minister. In Washington she was a popular hostess and a good ambassador for Australia, furnishing the legation with Australian timbers, fabrics by the Melbourne artist Frances Burke and paintings by Rupert Bunny and her friends from the George Bell school, (Sir) Russell Drysdale and Peter Purves Smith. When Casey was appointed British minister of state in Cairo in 1942, his wife’s quick intelligence impressed the cavalcade of distinguished military and political visitors to their home. She threw herself into war work, visiting the wounded at the 9th General Hospital, Heliopolis, travelling with the Hadfield-Spears Mobile Hospital and chairing the St Dunstan’s Unit, which helped blind servicemen. Casey’s appointment as governor of Bengal, India (1944-45), brought his wife new duties as vicereine, which she ably fulfilled while collaborating with her husband to free the office of Imperial anachronisms. Back in Melbourne from 1946, as her husband pursued his political career, Maie Casey found herself in demand as a public speaker. Acquaintance with the educated women of India had convinced her that Australian women should be more active in public life, and she said so to a wide range of audiences. When engagements permitted she indulged her passions for art and flying. As well as continuing to paint, she became a patron for young Australian artists such as (Sir) Sidney Nolan. She was delighted to be named in 1950 inaugural patron of the Association of Women Pilots of Australia and to be accorded in 1954 membership of the Ninety-Nines, an association of American women pilots founded by Amelia Earhart. In October 1953 she flew her Miles Messenger in Australia’s first all-woman air race. That year a book on which she had collaborated with (Sir) Daryl Lindsay, her brother-in-law Dermot Casey and others, Early Melbourne Architecture, was published. Lady Casey (her husband was made a life peer in 1960) won increasing recognition as a writer. 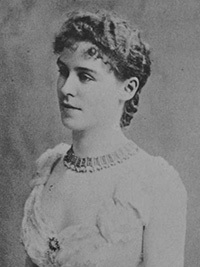 Her account of her forebears, An Australian Story 1837-1907, was published in 1962; a book of her verse (with illustrations by Frances Burke) appeared the following year; in 1965 she collaborated with Margaret Sutherland on the creation of a one-act opera, The Young Kabbarli, based on the life of Daisy Bates, and in 1966 her memoir Tides and Eddies appeared. Her verse was kindly received, her libretto drew severe criticism, and her memoir, although rich in exotic settings and luminaries (she was an inveterate name-dropper), was superficial. Her best work was An Australian Story. In it, her love of her native land shone, and so did her capacity for evocative description and her artist’s eye for the revealing detail. Small and trimly built, with grey wavy hair and intense blue eyes, as wife of Australia’s sixteenth governor-general (1965-69), Lady Casey performed her vice-regal duties with poise and élan. She converted Yarralumla into a salon for artists, musicians and writers while dutifully entertaining the dignitaries who came with the job. In retirement at Edrington, she continued to write verse, which she pressed on her friends, to correspond with the vast circle she had cultivated, to travel with her husband (the `Casey season’ in London remained an annual event), and, much to the alarm of her intimates, to fly her Cessna. Maie Casey was a woman of paradoxes. Possessed of charm and wit, she could be manipulative and ruthless. A steadfast friend to many, she was a cold and inattentive mother. Although bohemian in her private life, she was a snob. Not conventionally beautiful, she attracted, and was attracted by, a host of men and women, but she remained a devoted wife to Richard Casey, channelling much of her formidable energy into promoting and supporting his career. A friend, Lady Drysdale, judged that she was `napoleonic’. [S16] Newspaper - The Age 18 Apr 1946, p6. [S55] Adb online, online http://adbonline.anu.edu.au/adbonline.htm, Select Bibliography: W. J. Hudson, Casey (Melbourne, 1986); D. Langmore, Glittering Surfaces (Sydney, 1997) and for sources; Maie Casey papers (National Library of Australia). Print Publication Details: Diane Langmore, 'Casey, Ethel Marian Sumner (Maie) (1891 - 1983)', Australian Dictionary of Biography, Volume 17, Melbourne University Press, ??? ?, pp 193-195. Death-Notice* 15 Mar 1951 SMITH.—On March 14 at 46 Union street, Armadale, Sarah Ellen, loving mother of Ernest, Elsie (Mrs Roswear), Marjorie (Mrs Lappin), Madge (Mrs McGee, USA). In her 88th year. [S185] Property Titles. ; PROV (Public Records Office Victoria), C/T 1747-267 - Sarah Ellen Smith the wife of Charles Smith of Beaconsfield Gentleman - C/T 2323-590. [S185] Property Titles. ; PROV (Public Records Office Victoria), C/T 2323-590 - Mortgage No 120178. Not discharged. [S185] Property Titles. ; PROV (Public Records Office Victoria), C/T 2323-590 - Mortgage No 120178. Not discharged. Transferred to Philip Oakden at some stage. [S11] Newspaper - Argus 15 Mar 1951, p13. [S11] Newspaper - Argus 3 Dec 1889,p 10. Marriage* b 1969 Spouse: Neil Ferguson Copland. New Zealand. 31 Jan 1939, BLAZE NEAR BERWICK. Homes in Danger. BERWICK, Monday. - A week-end home was destroyed and several other properties were endangered by a fire, which broke out shortly after 2 p.m. today near the reservoir, between Beaconsfield and Beaconsfield Upper. The fire ran up Walker's Gully toward Upper Beaconsfield. When the wind changed from the north to the west it headed toward Tumuc Valley and valuable orcharding districts. A change to the south about 7 pm helped to quell the intensity of the fire and aided the fighters in bringing it under control. The weekend home of Miss D. Rogers and its contents were destroyed, and a shed and a garage on the property of Mr. J. Ballantyne, and a shed on Mr. Ken Hudson's property were also destroyed. Strenuous efforts on the part of the fire-fighters saved the homes of Mr. Ballantyne, Dr. Day, Miss O. Bennie, and Mr. K. Hudson. Other houses which were in danger were those of Judge Bevan (the hedge of which caught fire), Mr. V. a'Beckett, Mrs. Renfrey, Mr. Hudson, sen., and Mr. C. R. Walker. Mr. Walker was delivering a lecture in Berwick in aid of the bush-fire appeal when he was called to his home. At 10.30 pm the fire was still burning in the timber country east of Beaconsfield Upper, but it is believed that no houses are in immediate danger. The fire was fought by approximately 300 volunteers from Beaconsfield, Upper Beaconsfield, Berwick, Dandenong, and surrounding districts. [S10] New Zealand Government Birth, Death & Marriage Indexes "1989/35390." [S185] Property Titles. ; PROV (Public Records Office Victoria), C/T 3368-581 - Ida Constance Bennie of Upper Beaconsfield Spinster. [S185] Property Titles. ; PROV (Public Records Office Victoria), C/T 3368-581 - Henry Joseph McGuigan of 10 Horne Street Brunswick Manufacturer. [S185] Property Titles. ; PROV (Public Records Office Victoria), C/T 6483-576 - Ida Constance Bennie and Ada Mary Prebble both of Upper Beaconsfield Spinsters - proprietors as tenants-in-common in equal shares - C/T 7134-676. [S185] Property Titles. ; PROV (Public Records Office Victoria), C/T 7134-676 - Ida Constance Bennie of Upper Beaconsfield Spinster is now the proprietor. [S50] Miscellaneous Source, New Zealand Archive. [S149] Electoral Roll for Australia, 1949 "listed as 'Fernacres.'" [S65] Ancestry - various indices, New Zealand Electoral Roll. [S11] Newspaper - Argus 9 Apr 1938, p26. [S11] Newspaper - Argus 31 Jan 1939 p2. [S11] Newspaper - Argus 10 Dec 1941, p8. [S35] Probate Records, PROV (Public Records Office Victoria), VPRS 28/P3, unit 3127; VPRS 7591/P2, unit 1050. [S11] Newspaper - Argus 9 Apr 1921, p11. [S5] Registry of Births Deaths and Marriages Death Index Victoria 1921-1985 "#D6204 (Age 55) [par Henry GARDNER & Margaret CORRIS]." [S11] Newspaper - Argus 18 Jul 1938, p8.